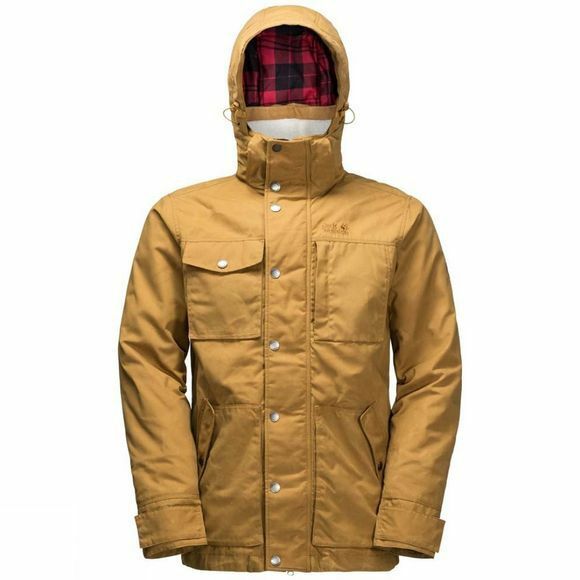 If your idea of winter is a cosy log cabin and a snowy stroll through town you should put the Mens Fort Nelson Jacket from Jack Wolfskin on your winter shopping list. Because that's exactly what It is designed for. 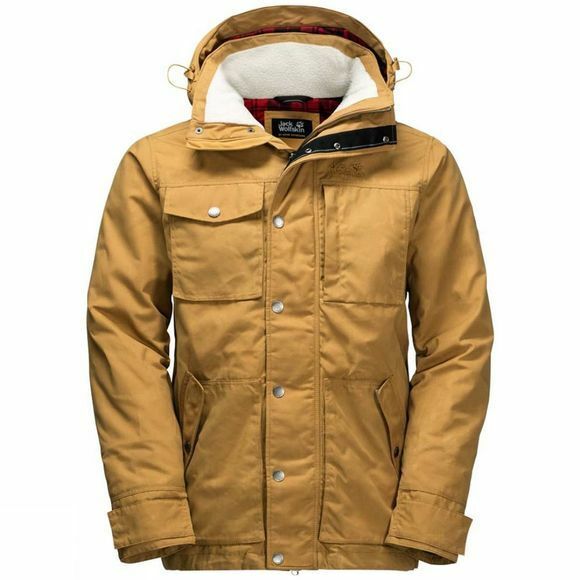 In both style and functionality, this jacket is made for Canadian winters. It is tailored from robust, wind- and water-resistant wax. The high proportion of cotton in the fabric gives it a pleasant, rugged feel and the wax treatment means it develops a nice patina over time. And on long evenings outside your cabin (or wandering around town), you'll appreciate the extra warm synthetic fibre insulation, which keeps you warm even if it gets damp. The deep tunnel hood shields your face from the rain and wind, and can be detached when you don't need it. The jacket also has a high collar with a cosy lining. This casual, lumberjack-style lining gives the jacket its iconic look. But it doesn't just look cool, it's also super soft and warm. The jacket has a total of eight pockets, so there's plenty of room for your wallet, GPS, mobile phone, pen knife, head torch, snacks and more.